Tandur Yellow Limestone is beautiful yellow coloured limestone with a rustic look. The surface is natural split and is fairly even but it can be polished well. The natural & tumbled look is very much happening nowadays. 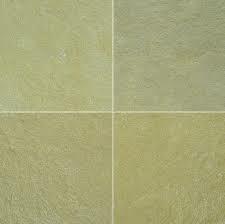 Tandoor Yellow limestone is also a warm honey coloured limestone with subtle texture. The hard wearing natural stone has soft edges and has been gently aged by tumbling process. Popular for the durability, Tandoor Yellow Limestone is a preferred choice for commercial applications. It is absolutely excellent for paving, wall cladding and various landscaping projects. The material is frost resistant and does not turn brown even after consistent exposure to excessive heat or cold.